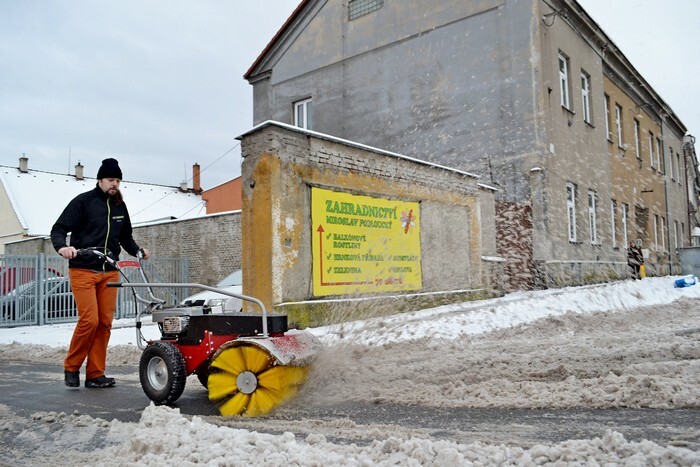 The SB 85 sweeping brush is designed for snow removal during winter and cleaning of the pavements, parking lots, roads etc. which means you can use the machine during the whole year. 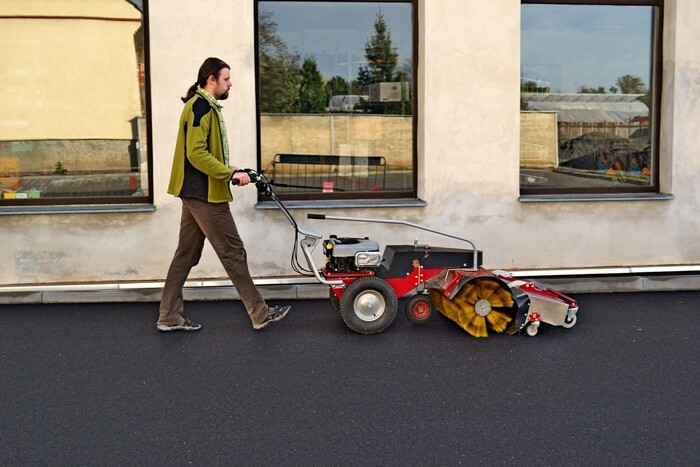 Thanks to the 85 cm operating width you are able to clean larger parking lots as well as the narrow pavements etc. The brush is rotating against way of driving. 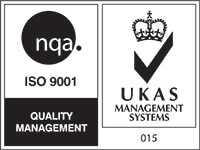 The material is swept in forward direction or caught in collecting bin if connected which eliminates dustiness. The SB 85 sweeping brush is controlled by 2 levers on the handlebars. The travel and the brush activation are not interdependent. The travel speed is controlled by a speed lever on the handlebars. The cross direction of the brush (direction in which is the material swept off) is controlled by an extension lever. There are 5 positions. 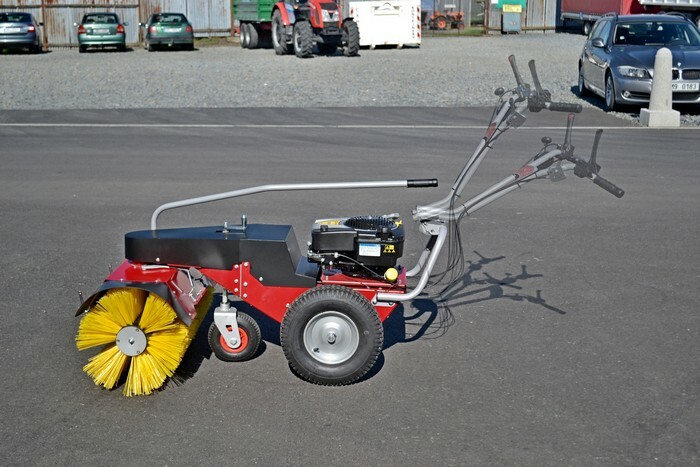 The brush diameter is 40 cm which allows better removal of higher snow layer. The machine is used effectively thanks to the option of 2 brush speeds. 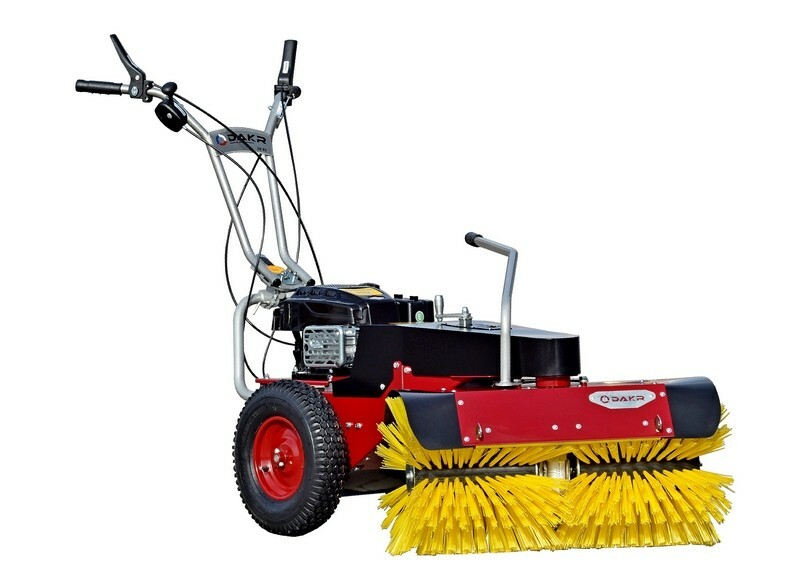 The lower speed is suitable for summer operation (eliminates dustiness, increases the bristles lifetime). The higher speed is more suitable during winter operation for snow removal. The snow is thrown away at a larger distance thanks to higher speed. Brush height: There is a supporting blown wheel for the brush height setting. The container is designed for collecting of swept material in connection with SB 85 cylinder sweeping brush. It is simply hinged on the sweeping brush during a work. The container is made of stainless steel. Its capacity is 43 liters.